Abuse victims share a myriad experiences. One of the most insidious is isolation – from friends, family, interest groups, churches and sometimes, even from social media. Nothing is surer than that your abusive partner has alienated you emotionally from himself, the only person left to lean on. Abuse victims who have nowhere to turn for help are at high risk for substance abuse (to dull the pain), severe depression and other mental illnesses – even the ultimate escape – suicide. Abuse, whether physical, psychological, emotional or verbal, invariably shatters your self-belief. 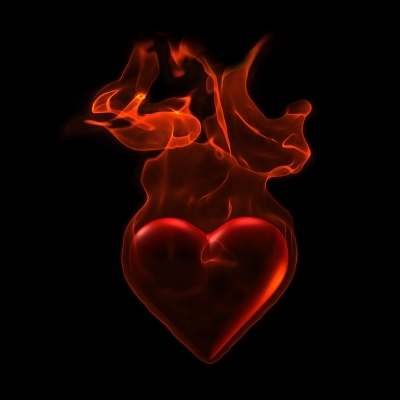 You no longer trust your own thoughts, feelings and perceptions. This completes the feeling of desolation. You believe no one cares, and if they did, what could they do? If you’re reading this and silently asking, ‘Is there help for abuse victims? Is there help for me?‘ – I want to assure you, you are not alone. There are people who care deeply. The internet is awash with information, support and resources from fellow sufferers, as well as from experts in the field. I’ve mentioned Melanie Tonia Evans’ abuse recovery program in previous posts and it remains, in my mind, one of the most powerful resources for healing from narcissistic abuse. The author has personally experienced abuse at the hands of ex partners and is now, as a therapist herself, a recognized expert in the field. She examines the dynamics of abuse from a holistic perspective, looking at every aspect of your being; physical, mental, emotional and spiritual. The added spiritual dimension sets her work apart and is the reason I latched onto her website like a life-raft. Her program takes considerable emotional work, and may cause you some pain, but it’s the path to freedom. You can find her Narcissistic Abuse Recovery Program here. Melanie maintains that abusers share narcissistic traits, although not all have full-blown narcissistic personality disorder, an opinion shared by other notable experts like Patricia Evans (not related to Melanie ), and by many who blog bout their personal experience of abuse. I’m not an Amazon affiliate so gain no remuneration from promoting Patricia’s work; but in all conscience, I need to commend her books to you. Some are available for kindle for very little cost. 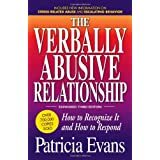 She explains the dynamics at play in the minds and backgrounds of verbal abusers so profoundly that I believe her teachings offer you the greatest hope for understanding what has happened and why. You will finally stop blaming yourself. I recommend starting with ‘The Verbally Abusive Relationship‘, ‘The Verbally Abusive Man,’ and ‘Controlling People’. If you purchase these books and find them helpful, I’d appreciate your feedback. Contact me here. I have formed strong ties with fellow bloggers who write about abuse and I urge you to visit their writings. Absorb what is there. Feel – perhaps for the first time – that you’re not alone. You have sisters and brothers all over the world, united by a common bond. Never be too shy to approach a qualified counselor. These trained therapists are there to validate your experience, listen to your story, help you develop strengths that rebuild your sense of self, and assist in your recovery. There is also guidance should you decide to leave your abuser and rebuild the optimistic future you so richly deserve. A future filled with love and light. Not long ago, I contemplated my future and longed for death. Today, I long for morning to come so that I might seize the day… again…and again. I’ve been where you are, and I am an ordinary human being. Nothing special. That means you too, have hope for an exuberant future. You are NOT alone. Compassion and confidentiality are assured.